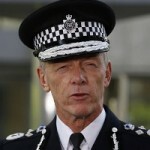 Bernard Hogan-Howe will be the new Commissioner of the Metropolitan Police Service, the Home Secretary announced today. Her Majesty the Queen granted Royal Approval to the appointment after final interviews for the position were conducted by the Home Secretary and the Mayor of London today. Royal approval was given to the current Deputy Commissioner of Metropolitan Police after he was picked from a field of four candidates. ‘As you would expect for such a prestigious position, we had an exceptional field of candidates, but Bernard Hogan-Howe impressed us all with his vision for the Metropolitan Police, his commitment to cutting crime and the important work he has done for the public. ‘The government’s reforms are transforming the police in this country and Bernard Hogan-Howe has the skills and experience needed to ensure the nation’s biggest force is at the forefront of this change. ‘I made my recommendation following representations from the Metropolitan Police Authority and discussions with the Mayor of London, Boris Johnson.